'The Notorious' is set for The Octagon next. The ring can wait. In a recent interview with Joe Rogan, John Kavanagh marvelled at how quickly Conor McGregor took to boxing. After teeing up an incredible pay-day against Floyd Mayweather Jr., Kavanagh committed to training his fighter as best he could for his professional boxing debut. McGregor was lighting sparring partners up in training but Kavanagh rightly suspected Mayweather was different gravy. Three weeks out from that box-office bout, though, and McGregor gave his entire team pause for thought by shading former world champion Paulie Malignaggi in a warm-up tilt. As much as McGregor talks about a rematch with Mayweather - after his August 2017 loss - one suspects his next boxing match will be against Malignaggi. That fight is down the line, however. McGregor missed the chance to reclaim his lightweight belt when Khabib Nurmagomedov forced him to tap out during their gripping encounter at UFC 229. "Yeah, I'm looking to get back in, of course. "We'll see what happens. Obviously, there is stuff with the Nevada Atletic Commission, So they'll make a judgement on that and we'll go from there." 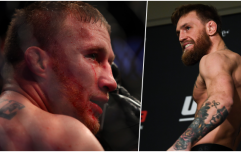 As McGregor and Kavanagh have both stated - a rematch with Khabib is top of the agenda. A date just needs sorting. The Nevada mention, of course, is in reference to his temporary suspension after the brawl that followed - inside and outside of the cage - his loss to Nurmagomedov. McGregor also referred to Mayweather when posing with Taylor and her belts. 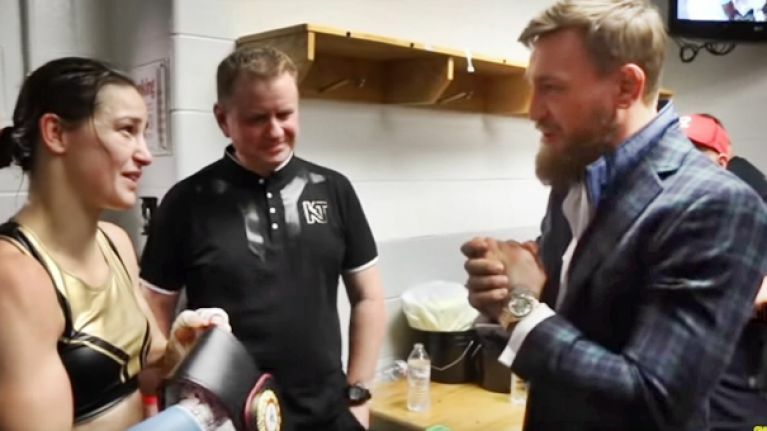 Referring to her two world titles, McGregor joked, "They're nice aul' belts aren't they? "I lost out on that money belt... I was sick, I was! I would have loving that one. I'll just rob it out of his gaff!" Mayweather may employ some extra security staff, just to be sure.